Edinburgh Napier Rugby Union Club will be playing in the BUCS Scottish 1A league this season as well as fielding a brand new second team for the 2016-17 season playing in the BUCS Scottish 5A league. The club has seen an increase in investment and performance over the last year and the club intends to continue this upward trend. This year will be the first that the club will employ 3 high-level coaches. 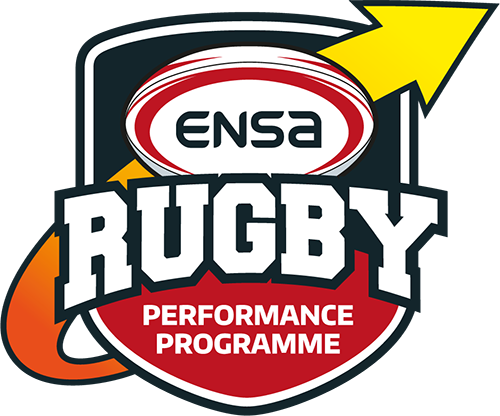 A big change for the 2016-17 season is the implementation of the new Rugby Performance Programme (RPP). Included in the programme will be strength and conditioning support, physiotherapy support, and close links to the Edinburgh Rugby Academy based at the Sighthill campus. The programme is designed to help individual players develop to their full ability. If you wish to find out more about the programme please get in touch. Training will take place on Monday at Boroughmuir RFC (Meggetland) 18:30 – 20:30. Both Home and Away fixtures take place on Wednesday afternoons. This remains a big part of Napier rugby club and plans are already underway for trips to Murrayfield, social nights with other clubs and epic fundraisers. This season, with a performance team and a social team at the club, we are looking for players of all abilities and experience. We would love to have you come along and become part of the team so please get in contact through one of the links below. To purchase a Sports Club Membership, you will also need to purchase an ENSA Sports Card. It costs just £20 and allows you to purchase as many Sports Club Memberships as you choose. Edinburgh Napier Women’s Rugby Union club is a new and exciting club! If you have watched the rugby world cup on TV and thought “where could I give that a go?” then look no further – join the Women’s Rugby team! We are looking for anyone interested in the game to come down and join in the training, whether you’re a beginner just wanting to find out a bit more about the game and have some fun or an experienced player who could come down and give a helping hand. We train Monday and Friday afternoons between 6pm – 8pm at the Sighthill pitches with changing facilities available at the Sighthill Pavillion, off Broomhouse Road, EH11 4BN. The team are making Team Napier history as the first women’s rugby team to compete in BUCS and take on Robert Gordon, Strathclyde and Edinburgh University. Team Napier Women’s Rugby will also be participating in the Scottish Rugby Union’s women’s national development league which runs from September through to April and meets on 6 dates during this time with additional dates at the end of the programme. Unlike other competitions, teams and players will meet at a central location in Scotland to participate in a day of coaching led by the SRU before playing in development matches. The league will focus on developing each player, through skills specific coaching sessions, to enable the participants to be fully comfortable in a game-like environment before they enter into a competitive league. The aim is that the national development league will prepare, physically and mentally, players to get involved in regular competitive matches next season. Wednesday 28 September, 12:30pm – 4pm at the BT Murrayfield.